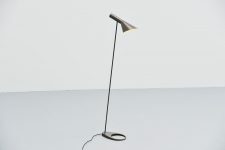 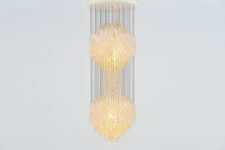 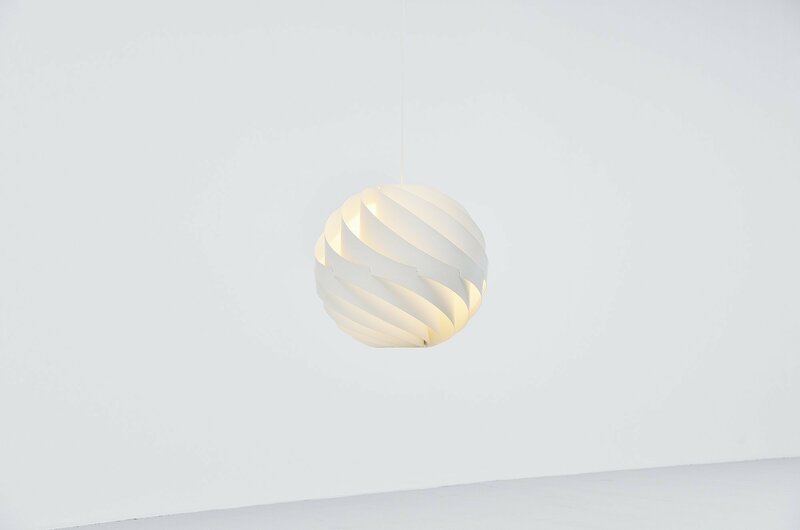 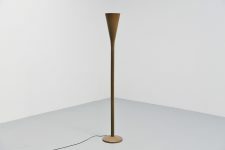 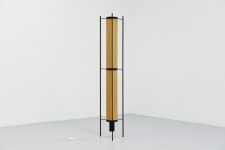 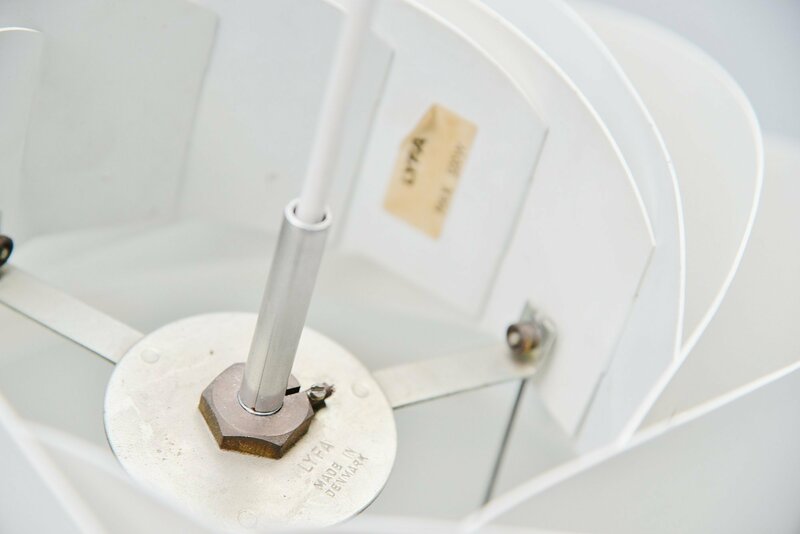 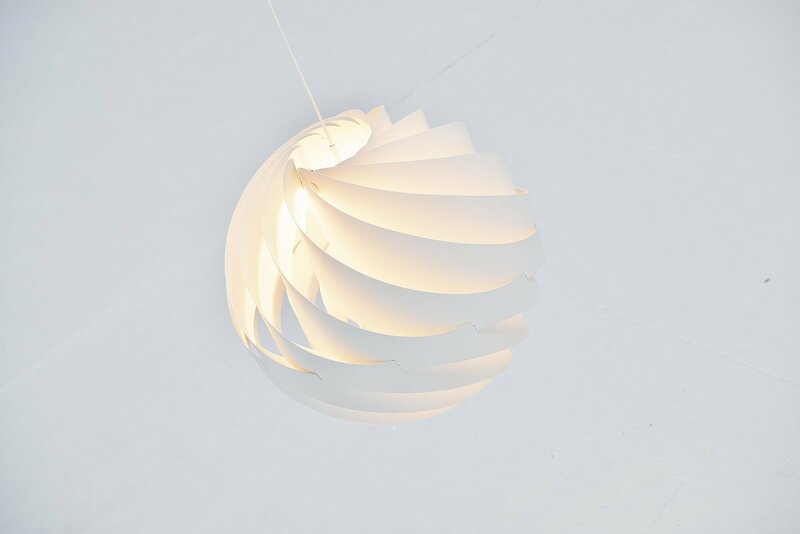 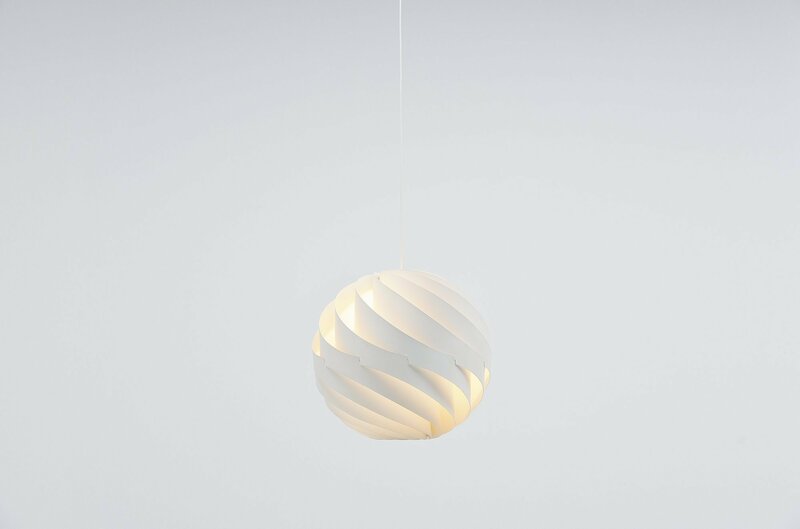 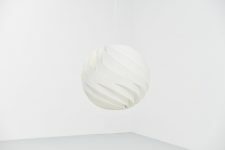 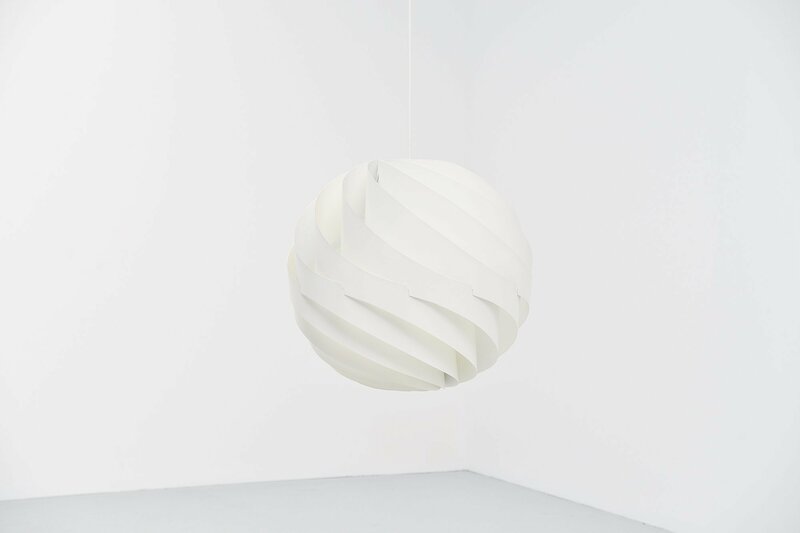 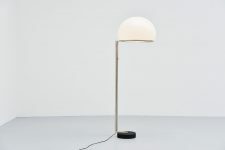 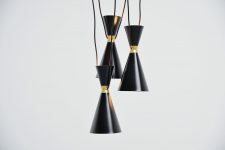 Fantastic large pendant lamp called Turbo designed by Louis Weisdorf and manufactured by Lyfa, Denmark 1965. 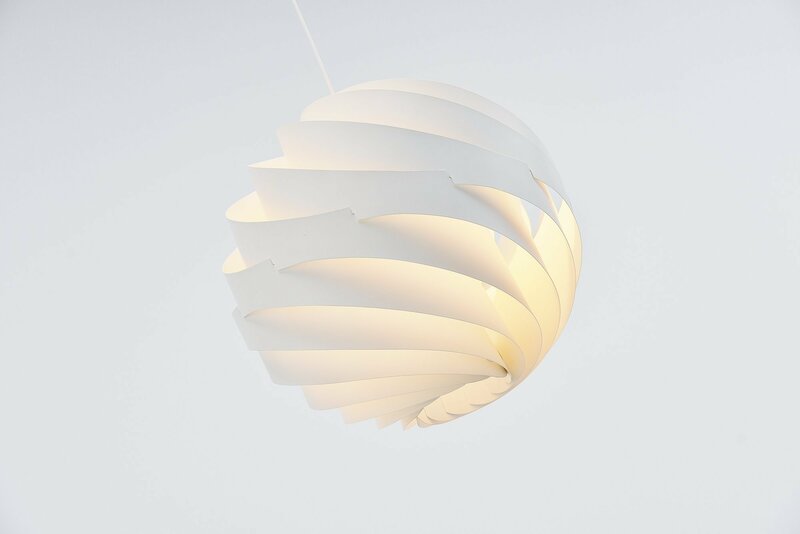 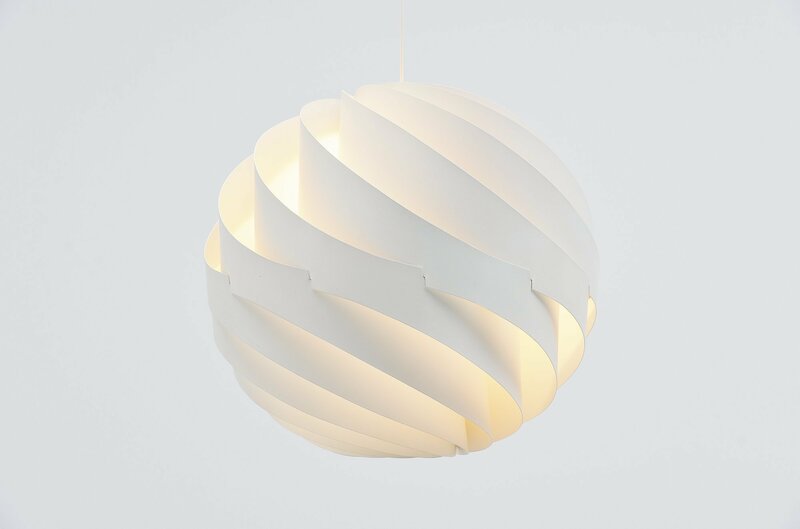 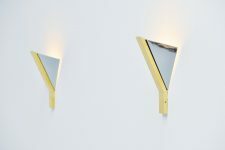 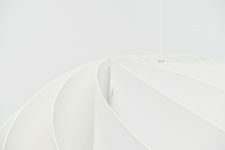 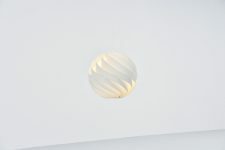 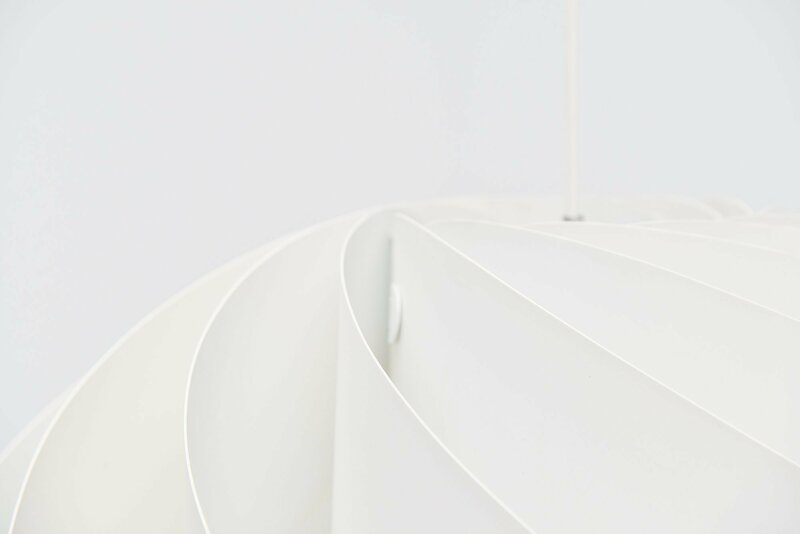 This super shaped large pendant lamp is made of aluminium layers rotated into a turbo. 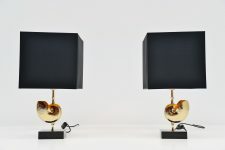 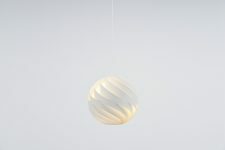 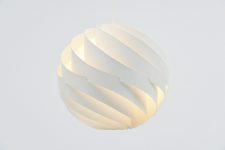 Gives very nice warm light when lit, super spherical and spectacular. 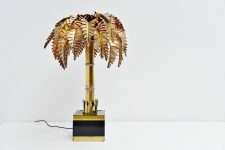 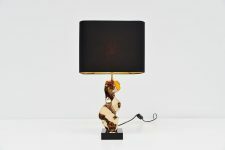 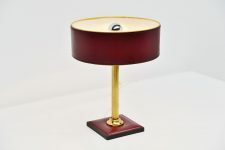 The lamp is in very good original and clean condition. 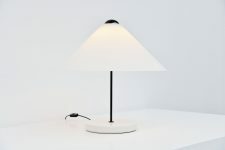 Impressed with the Lyfa stamp and also marked with Lyfa sticker on the inside of the shade. 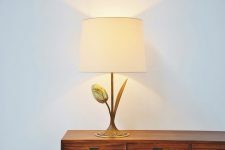 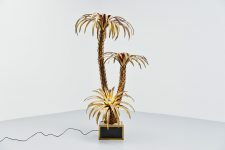 This lamp uses an A27 bulb up to 100 watt.